The Nest Storage was designed by Morph to introduce a much needed improvement to the organisation of storage containers when not in use. Organise the mess of your food container cupboard with the help of these space-saving storage containers that neatly stack together and have colourful lids with a corresponding coloured dot on the bottom so you can easily find the matching lid. Nest™ Storage provides a colourful, space-saving solution, the clever design allows you to store multiple sizes of food container in the same space as the largest. Container bases nest neatly inside each other and lids snap conveniently together making them very easy to find. All sets feature airtight lids and clear colour coding for easy pairing. 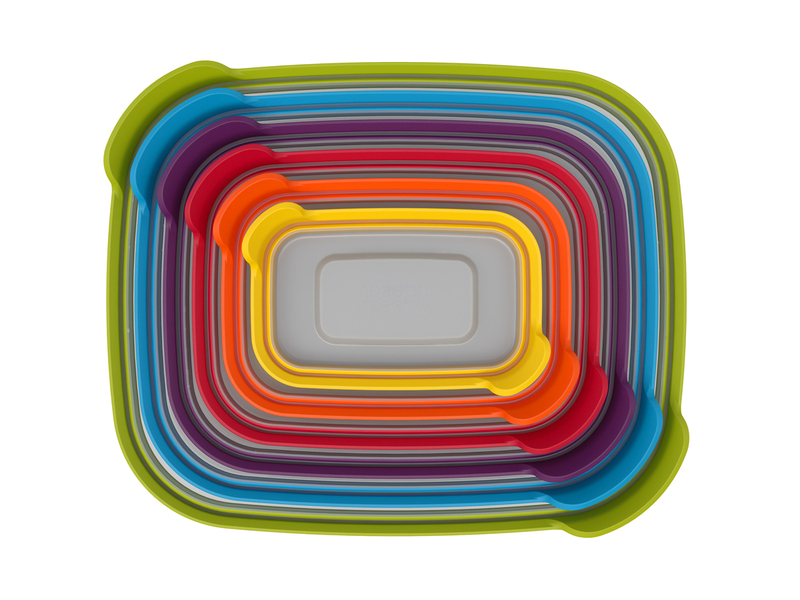 All elements are freezer and dishwasher safe and BPA-free. Available in a variety of sizes and sets.